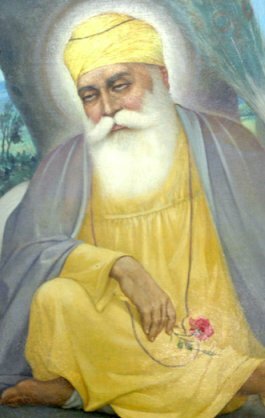 Guru Nanak (or simply Nanak) is the founder of the Sikh religion and was considered a guru (leader and teacher) by his followers. He was born in 1469 in the Punjab region of northern India, which is now part of Pakistan. His parents were Hindu, yet he was exposed to Islam as well. Not many facts about his life can be historically verified with certainty, but for Sikhs a few things are very important about his life. 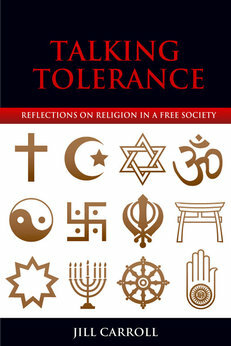 Chief among these is the religious experience he had when he was about 30 years old. According to the tradition, Nanak went to a nearby river every morning for prayer and bathing. One morning he failed to return from the river. They dragged the river for his body and found nothing. Three days later, he reappeared and eventually gave an explanation for his disappearance. He said he had been taken into the presence of God where he was shown the "true name" of God. He said he was given a cup of nectar to drink and was given a mission to share the name and reality of God (which was neither Hindu nor Muslim), to live purely, practice charity and develop God consciousness, and to lead people as a guru. So, for 24 years Guru Nanak traveled throughout India accompanied by a friend, Mardana, who was a Muslim musician. He wore clothes typical of both Hindus and Muslims, visited holy sites of both religions, and fellowshipped with people from both traditions and all castes. He composed numerous hymns along with Mardana and sang them as part of worship. Toward the end of his life, Guru Nanak returned to the Punjab region and continued his teachings and worship. Most of the region came to follow his ideas during his lifetime, and began to practice as a community in ways distinctly at odds with the dominant Hindu tradition. Specifically, the community under Nanak ate together at a community kitchen - called a langar - that was open to all people regardless of caste. The langar, or communal meal, remains a dominant practice in Sikhism today. Most of the basic ideas of Sikh religion can be traced back to its founder Nanak. Specifically, he lived in a time period after which a spiritual tradition called the Sant movement had become prominent. The Sant movement was a devotional traditional that developed about a generation or so before Nanak lived. It rejected the authority of the Vedas, the Upanishads and the Quran (important Hindu and Muslim texts), said that all people were brothers and sisters before the mystery of the Divine, that religion was mainly about love and the purity of one's interior nature, and that people should align themselves with God and love through mediation, chanting God's name and prayer. The Sant tradition also had strong resonances with the Sufi tradition in Islam, which focused on direct experience of the Divine, mystical untion, and used metaphors of light to refer to God and Truth. Sufism also tended to reject anything magical or susperstitious in religion, such as worshipping statues, which it saw as the trappings of popular religion that could lead one away from true spirituality. So, Guru Nanak recast this Sant tradition in light of his own experience and explicated it further into new dimensions - this is his originality - and this became the overall sensibility of the Sikh religion. Before he died, Nanak appointed one of his followers in the community to succeed him, not one of his sons. This began the succession of 9 gurus after Guru Nanak who, after him, mostly were chosen by heredity.